Need lots of space for a fun Red Lodge, Montana vacation? Well Beartooth Montana Getaway has a leg up on that. In fact, theres legroom (and sleeping) for 10 people. This townhouse has everything you need! Need lots of space for a fun Montana vacation? Well Beartooth Montana Getaway has a leg up on that. In fact, there’s legroom (and sleeping) for 10 people. 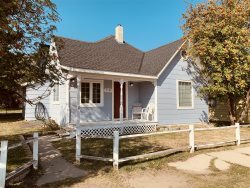 This townhome in Red Lodge Country Club Estates has everything you need to kick back, relax and do nothing or the desirable location you need to golf, ski, shop or take advantage of any of the recreational activities Red Lodge has to offer. Two of the bedrooms have King beds. The third bedroom has double bunk beds and the living area has a loveseat and a sofa that makes into a sleeper bed. When you don’t want to gaze at the stars from the hot tub on your front porch, catch your favorite flick on television. There won’t be any fighting over tv time here because there are 3 to choose from. Plenty of space and plenty of reasons why you’ll want to have your next vacation at Beartooth Montana Getaway. Facilities were almost like home - quite adequate. It was quiet. Stayed in Red Lodge last year through Red Lodge Rentals. Beautiful setting, cozy unit, management right on the ball - responded quickly and kept us up to date. Great location, quiet. Kids enjoyed skiing/snowboarding at Red Lodge Mountain. What was the best part of your rental stay? "Having a "home" to come back to each night with our family! Hot tub was great and stocked kitchen to make meals." Great place to stay in a beautiful community. Loved: Hiking and mountain biking in the mountains everywhere! Red Box Car, Red Lodge Pizza Co.
Clean, comfortable, plenty of room, all the essentials and perfect location. I had great service. Whenever I had a question someone always answered my question(s). The condo was also very clean when we arrived.